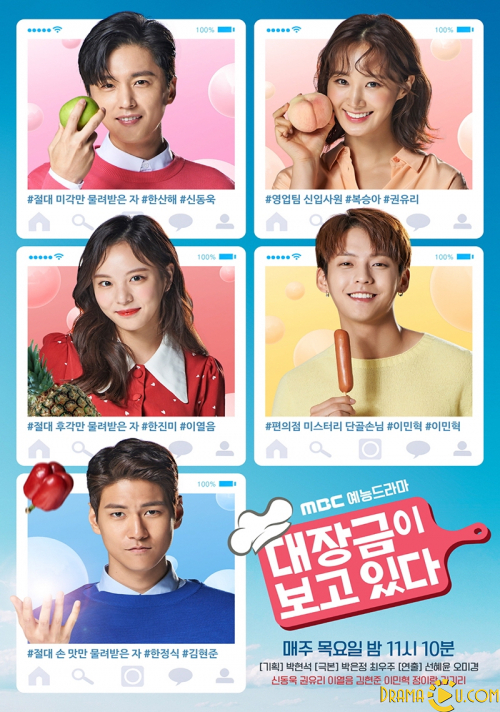 This food-oriented drama imagines how the descendants of the famous Joseon woman doctor and alleged culinary genius Jang Geum (the subject of the famous sageuk Dae Jang Geum) might live today if they inherited some of her talents. San Hae has been gifted with an excellent sense of taste which has mad him a huge fan and connoisseur of food. His younger sister Jin Mi has been gifted with an exceptional sense of smell, and their younger brother Jung Shik has such excellent cooking skills he has his own Youtube vlog channel. The story follows San Hae at his work and his relationship with a rookie employee at his company, a woman named Bok Seung Ah.